ARE CONVERTIBLES ALLOWED AT TRACK EVENTS? You can cancel up to one week ( 7 days) before the start of the event and get a full refund (less a $30 processing fee). Cancellations received up to 72 hours (3 days) in advance of the first day of the event will result in a credit applied towards another event. Cancellations received less than 72 hours before the first day of the event are issued NO credit. Events are held rain or shine, if the track calls the event off due to unsafe track conditions everyone will be issued a credit. What is involved with a Tech Inspection? All cars will be subjected to a tech inspection before they are allowed on the track. Everyone will be required to turn in a completed, signed tech inspection form to whomever techs their car at the event. All HPDE cars will be inspected by NASA tech inspectors and Instructors will self-tech. Before you get to the event, be sure you meet the following minimum requirements. Cars that fail tech at the event will not receive entry fee refunds! Get a tech inspection form here and go over your car before the event! Spare parts, you know what breaks on your car, bring extras! All loose items, both inside and outside the car, must be removed. This includes floor mats, tool kits, jacks, hubcaps, trim rings, fender skirts, aftermarket roof and bicycle racks, window air deflectors, radar detectors, EZPass, change, etc. Spare tires may remain in the vehicle if they are securely bolted down. T-tops, targa tops, sunroofs, and moonroofs may remain on vehicles only if they are held down securely. Convertible tops must be secured in the down position. Seat belts must be functional and properly secured. Factory seatbelts are almost always enough. If you have added harnesses or any kind be sure to consult the CCR for legality. The same goes for any modifications you have made in the name of comfort or safety inside the car (roll bars, seats, etc.) All seats which will contain drivers, instructors, or passengers must be solidly attached and meet safety specs. Wheels must be firmly attached, with all studs and lug nuts present and tight. Wheel bearings must not show any play. Tires must be in good condition, with no cording or belts showing and no dry rot or cracks in the tread or sidewall. In addition, tires must be sufficiently inflated, have ample tread per it’s design and be in matched sets on each axle. The throttle shall have a fully functioning return spring. The brake pedal must have adequate pressure. The brake fluid reservoir must be full of clean fluid. The battery shall be securely mounted and/or held down with both terminals covered. No fuel, oil, water, or brake fluid leaks shall be allowed. Brake lights must be functional. Exhaust systems must exit behind the driver. No leaks! All non-original driver restraints must meet safety specs per the CCR. No three- or four-point harnesses of any kind. Exposed headlights/signal lights on nose taped up. Numbers on both sides of car, 10” tall minimum. Shoe polish is not allowed nor are window numbers. Any in-car cameras securely mounted and also held with a safety tether. What do I wear for an HPDE? Obviously, dress comfortably and be prepared for the weather conditions. You will be spending a lot of time outside. Remember that long-sleeve shirts, long pants and closed-toe shoes are a required while on the track. You will need a helmet rated Snell 2005 or better. Gloves are always a good idea — especially thin leather or Nomex ones that will keep sweaty hands from slipping on the wheel. What else should I bring along? A camera and/or video camera — if you want pictures please take them safely and from behind any fencing. Extra brake pads, fluid and the means to change them. I have instructed with other NASA Regions or have experience with other clubs, can I instruct? Experience With Other Clubs, Can I Instruct? We are always looking for good instructors; it’s people like you that help introduce new drivers into the sport. Send an email with a detailed driving resume to info@nasane.com. For futher information, refer to the HPDE section of the CCR. What is this CCR about? It is the official Club Codes and Regulations as put together by NASA Pro Racing. It is available in pdf (Acrobat) format and can be downloaded at NASA Nationals. Some organizations charge you for their rules, ours are available free to anyone, member or not. Read it. Know it. Live it. Driving your car on a track at speeds is an inherently dangerous activity. You must respect your car, your abilities and most of all, heed your instructor. A big ego has no place on the track. Body damage to cars rarely occurs, and when it does it is almost always the result of a too-aggressive driver, or driving too carelessly for conditions! This can result in your car leaving the paved portion of the track and striking something hard. Cars will almost never collide with each other in an HPDE group. Also, injuries are virtually unheard of in HPDE. You are encouraged to check with your insurance company regarding coverage. Many insurance companies may not cover damages to your car during an HPDE. Remember, HPDE is NOT racing, it is high-performance driver’s education. Be careful if they tell that it is not covered, agents have been wrong before. Ask them for an official list of exclusions in your policy and consult with an expert. HPDE specific insurance is available for reasonable rates. A simple search will list multiple websites. This all sounds to good to be true, what do I really need to get on track? Basically, all you need is a safe car and an approved helmet. We get everything from Kias to Lamborghinis. Long-sleeved shirts, long pants and closed-toe shoes also are necessary. Cars do not have to be fancy, or even fast. Some tracks have noise restrictions, so be careful with loud exhaust systems. Roll bars are required in convertibles. The driver’s helmeted head must be below rollover protection while seated. You also need to have a valid NASA membership and driver’s license. Your car will also be required to pass a basic tech inspection. Click here for a Tech form. 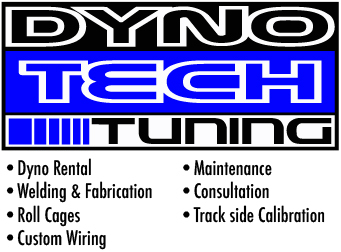 You can go through our tech line at the track, have a mechanic do it or have one of our certified tech centers (see the list under TECH heading) do a pre-track inspection. It is also helpful to have knowledge of the NASA CCR rulebook. So who is instructing me? All NASA instructors must demonstrate superior high-performance driving skills, that’s a given. But before we will allow them to ride with you on a racetrack they also must successfully complete at least a Level One Instructor Certification Clinic. There they will develop the myriad skills and familiarity with procedures that will make them effectively able to impart not only skill to you, the driver, but also maintain a safe driving environment to everyone in the run group. Many of our instructors have backgrounds in wheel-to-wheel racing or have years of on-track experience with many organizations. Your instructor will be your speed and safety guide for the day and you will learn something whether you’re a first-timer or an advanced driver. Instructors perform this duty out of love for the sport, not for money; we reward them with free track time in Group Four. We demand the highest level of professionalism, courtesy, safety and friendliness from our instructors and we hope this shows! What run group am I in? Drivers are separated according to their experience level into four basic groups: One, Two, Three, and Four. Speeds will vary depending upon the group. All Group One drivers will be assigned instructors to get them familiar with the track and driving at speed in a fun and safe manner. Mandatory classroom sessions will be provided to all groups and instructors are available by request (and if available) to Group Three drivers. Group 1: ‘Novice’ drivers are those who have attended no or very few track days and have never been signed off to drive solo. All Group 1 drivers are required to have an instructor. You will receive one-on-one, in-car guidance from experienced instructors as you learn to control both your car and yourself. Your instructor will provide you with guidance as you learn to drive at speed. You will learn the proper phases of cornering (Turn In, Apex, Track Out), the driving line, gear selection, braking technique, track etiquette and the meaning of track flags. You will be shown how to recognize when cars behind may pass and will signal safely with a “point-by.” Cars may not pass without a point-by. The session sometimes includes a lead-follow session. Passing is very limited in Group One and only done in specified straightaways. You will have scheduled classroom sessions. Group 2: ‘Intermediate’ drivers are those who have driven multiple track days on at least one track and have been signed off to solo. Group Two drivers may request an instructor, for additional coaching or if they are at a track unfamiliar to them and we encourage them to do so. Passing in Group 2 is only allowed on specified straightaways after the driver of the lead car signals. All passes are still done with a point-by from the car being overtaken. Group 3: ‘Advanced Intermediate’ drivers are those who have participated in at least 10 events on at least two different tracks and have been signed off to solo at every track driven. Group Three drivers may request instructors, if available. Passing other cars in Group 3 is only allowed after the driver of the lead car signals a point-by, only in specified areas on the track. You have progressed to the world of high performance driving. You must learn to share the track at high speeds with others. You are expected to have gained a great deal of track experience and this is your venue to shine. A lot is expected of you as a driver and good judgment must be displayed. Remember that all passes always require a point-by. Group 4: ‘Advanced’ drivers are those who have mastered most, if not all of the essential skills of performance driving; heel and toe, trail braking, varying driving lines and passing in corners, for example. Some have racing experience. Passing in Group Four is permitted anywhere on the track. As with all HPDE groups passing may only take place upon receiving a point by in ALL circumstances. A car, at rest, distributes its weight over the four tires. When you accelerate, the front gets lighter – an extreme example is a drag car doing a “wheelie”. The result is “weight transfer” off the front tires, and onto the back tires. When you step on the brakes, weight transfers from the back to the front. When you turn, weight transfers from the tires on the inside of the turn, to the tires on the outside of the turn. That’s all simple enough, but gets a little more complicated in fast driving because you are often performing a combination of these things simultaneously. Sometimes (actually quite often) you are still doing some braking while turning at the entry of a turn, and a key to going faster is beginning your acceleration before completing the turn. The amount of traction you have at each tire is dependent on how hard the tire is being pressed against the pavement. Since any kind of weight transfer causes a change to this pressure, than the traction you have at each tire is constantly changing with weight transfer. If weight transfer did not occur, traction would always be consistent, and the car would be easy to drive quickly. Since weight transfer is unavoidable, the next best thing is to cause the weight to transfer as predictably as possible. This is done by driving smoothly. When you apply the brakes, don’t slam them on, progressively squeeze them on. Squeeze into and out of the throttle. Turn the steering wheel gently, and try to make only one turn of the wheel to achieve the arc you want through the corner. As you accelerate out of the corner, unwind the wheel as you squeeze on the throttle. The above does not mean that you do not use the brakes, the gas, or the cornering ability of the car to their limits. It means you transition between them gently, with touch, and in a way that minimizes how they upset the car. In order to go really fast It is essential to first become smooth and consistent in your handling of the car. Some people believe that an occasional spin or crash is essential to learning to drive quickly. This is not true. A spin or crash is the result of an extreme case of exceeding the limits of the car and driver. Loosing control of the car is a hazard to the car involved as well as the other cars on the track, and the driver usually learns very little as he tries to save the car in a panic. Enter the turn at a speed that is well within the capabilities of the car and driver. Observe the braking points, corner entry speed, establish a “line” through the corner, and observe your corner exit speed. Make sure you can repeat this. Now, without changing your braking point, slightly decrease your braking to bring your corner entry speed up, in small increments, and observe your speed at corner exit. You will have optimized the corner when increasing your entry speed any further has a negative effect on your corner exit speed. You now know the maximum speed you can carry through the turn, that gives the best drive off the corner. Next, move your braking point closer to corner entry, in small increments, to maximize your braking. No spins, no crashes, but you have found the limit. Upshifting should be done smoothly. Speedshifting will shorten the gearbox life. The only time I force an upshift is in a side by side race to the next corner, for position. I will sometimes “bang a gear” in an effort to take or hold a position. Listen to the in-car shifts of professional racers on TV, and they rarely bang shifts. Upshifts are done quickly and smoothly, but are not forced. If you want your gearbox to have a long, happy life, feel the gears, the changes should fall in, without being forced. The first thing to understand is the purpose of the downshift. It is not to slow the car, that is the job of the brakes. The purpose of downshifting is to have the car in the correct gear to accelerate through and out of the corner. As you enter the braking zone, apply the brakes, but do not immediately downshift. The downshift should be done after the RPM’s have dropped, but must be complete before you begin the turn-in. Downshifting too early can over-rev the motor, waiting too long means you will be rolling the car through the corner entry, giving up the ability to use the throttle to balance the car. Why is “Heel toe” important? Remember, as you approach the traction limit of your tires, anything that takes traction can cause the car to slide. Have you ever downshifted and released the clutch too quickly and felt the car jump as the engine RPM’s were forced up to match the cars speed? Kind of like tapping the brakes. Think of this, if you are driving at 70 mph in 4th gear, at 4000 rpm’s and shift down to 3rd, your engine rpm’s will go up, to say 5200 rpm’s. You can accomplish this by easing out the clutch, until the engine is forced up in rpm’s by the car. This works, but it is slow, hard on the clutch and transmission synchros, and uses up some of your traction to force the RPM’s up. The alternative is to match the engine speed to the transmission speed (in the lower gear). This can be done by pushing in the clutch, blipping the throttle, selecting the lower gear and releasing the clutch. The problem is, downshifting is done at the same time we are braking. Guess what, we have two feet and three pedals to operate simultaneously! The Heel Toe technique solves this problem. “Heel toe” is a misnomer. It can be done in many ways, depending on the pedals in the car, and the anatomy of the driver. Although it can be, it is not usually done with the heel and toe. The process is commonly done by placing the ball of the foot on the right side of the brake pedal, and while holding consistent brake pressure, the side of the foot rolls onto the throttle, “blipping” the throttle. Depending on your anatomy, and the pedals, it can be done any way that allows the brakes to be used while the throttle is blipped. 1) The pedals must be matched. Normally this is done by adjusting until the brake and throttle are even in height, when the brakes are pressed on. The pedals must also be properly spaced. In my car it required adjusting and bending the gas pedal until I got the match I needed. In many cars, the pedals have some range of adjustment, making the process easier. One thing to remember, as you adjust the gas pedal, make sure that there is a mechanical stop for the pedal. If you rely on the stops in the carburetor or injection system to stop the motion, you will probably bend or break something as you try to squeeze a couple more horsepower out of the pedal. Also, make sure the linkage allows the butterflies in the carburetor to be fully open when the pedal hits your mechanical stop. 2) The technique must be practiced. Do not come to the track, with the intention of learning to Heel Toe. Learn the technique on the street, and practice it until it is second nature, before trying it at the track. If your street car is different from your track car, and your street car has a manual transmission, set its pedals for Heel Toe, and learn the technique. Try to get the pedal arrangement similar for both cars. If you must learn the technique in your track car, make it low on your priority list. When driving the line is second nature, you are comfortable in traffic, you’ve got all of the corner stations figured out, start working on it. Heel Toe is not a required skill at your first event or two, as a matter of fact, you don’t ever have to learn it. It is a tool that will make you a smoother driver (ie. faster! ), and you will be easier on your equipment. It’s a tool to add to your arsenal of skills as your high performance driving becomes more polished. The line is the path around the track, that when driven at the limit, will yield the fastest lap time. The line through any particular corner is accomplished using a “connect the dots” approach. There is a specific “turn in”, or “corner entry” point, which is the point where you begin turning the wheel. At the approximate middle of the corner is the “apex” which is the point in the turn where the inside wheels are closest to the inside edge of the pavement. At the end of the turn is the “corner exit”, which is the point where the car is no longer turning, and the wheel is straight. Going quickly requires that you learn the line and drive it consistently and precisely. One of the biggest stumbling blocks to learning the line is overdriving the car while trying to learn the line. (Particularly at corner entry). If you are going slower than the traction limits will allow, you can place the car exactly where you want to. If you are going too fast, the car will be controlling you, and you will be forced to follow the line established by the speed of the car. Racing drivers are all aware of the adage “In slow, out fast”. The most important goal of most corners is to carry as much speed as possible onto the straight following the corner. It has been said that the race winner is not the guy who goes fastest around the corners, but the guy who gets between the corners fastest. At the “turn in” point, the car should be as close to the outside edge of the track as possible, this will allow the car to travel the arc of the greatest radius through the corner. At the “apex”, the car should be as close as possible to the inside edge of the track, and at “corner exit” the car should be all of the way to the outside edge of the track again. Many turns have “berms” (Usually a concrete curbing) at the apex and corner exit. Racing drivers commonly drive on the berms to increase the radius of the turn by another few inches. I don’t advocate that in a street car, but I ask my students to try to just “feel” the edge of the berm, to know they have used the whole width of the track. Note: It can be helpful in learning the line to look at where the rubber has been left on the berm by the race cars. Hot tip: You will know when you are on the correct line when you turn in at corner entry and do not have to change the wheel position again until you begin to “unwind” (straighten) the wheel about 50-75% of the way through the corner. You must hit your apex, and wind up at the outside edge of the track for this to be meaningful. This is what you will want to feel: At corner entry the car should turn in easily. The car will lean on its suspension, and “take a set”, when it does you should gently begin to apply a small amount of throttle (the car is more stable under throttle than if just rolling free). Gently increase the throttle, feeling how much the car can take, if the car begins to go wide (remember, you must hit your apex!) either stop increasing throttle application, or lift very gently. Lifting quickly will probably spin the car if you are anywhere near the limit, but lifting gently will just point the car in to the apex. As you pass your apex point you should be able to gradually apply more throttle, as you do you will feel the car tell you it wants to go straighter (because you are going faster) and you will have to unwind the wheel. This unwinding should carry you all of the way out against the edge of the track at your corner exit point. If the entire corner felt smooth, and felt like the car was developing a consistent “G” force from the beginning to the end of the corner, you probably nailed it. Remember, none of this means anything if you do not “connect the dots”! Most drivers use visual reference points to establish where they apply their brakes, the turn in point, the apex and corner exit points. It is the easiest way to be consistent, particularly when learning a new track. Look for objects that will always be there, and that won’t move. Cones are a bad idea, a missing chunk of pavement is a good idea. When establishing a braking point, be conservative. First, because of “slow in, fast out” and secondly because as the day progresses you will probably be exiting the previous corner faster, and therefore carrying more speed into the braking zone. Hot tip: While learning the line, if you find yourself running out of pavement at corner exit, move your turn in point closer to the turn. If you have pavement left over at corner exit, move it back. You must hit your apex for this to work! It is your responsibility to know the rules pertinent to passing in your group. They will be covered in the drivers meeting. They are not complicated, but you must understand them. If you are on the track, contemplating a pass, but aren’t sure if it complies with the rules, remember “If in doubt, back out”. After the session, clarify the situation with your instructor, or at the download session. The following statements are only a guideline. The actual rules will be spelled out at your drivers meeting. What is said at that meeting supercedes anything stated here. Group 1 and 2 passing rules allow passing only on specified straights. All passes must start after the car has clearly left the corner leading onto the passing straight, and must be complete before the braking zone of the following corner. Sometimes there are specific reference points on the track, such as “the pass must be complete by the end of the pit wall”. If you are being passed, a “point by” is strongly encouraged. This tells the passing driver you are aware they are coming by, and tells them where you expect them to pass. The “point by” is accomplished by pointing to the side you want to be passed on. As the driver being passed, part of your responsibility is to make the pass easy for the overtaking car. This means be predictable. Do not do anything erratic. For the last few turns a car has been following you, so, as you enter the passing zone, you give the following driver a “point by”. Do not jerk the car off line, but smoothly give him a clean lane to make the pass. Do not hit your brakes to help him get by. If your car has more or equal horsepower, do not use full throttle. Don’t leave the passing car hung out into the braking zone. The safest passes are complete long before you get near the braking zone. Being smooth and predictable are the keys to safe passing. Also, just because you point by on the left doesn’t mean the overtaking car won’t go by on the right, and it doesn’t mean the other driver has to make the pass. The point by is a recommendation only. If you are making the pass, keep this rule in mind. It is the same rule as applies in racing. It is the responsibility of the overtaking driver to complete a safe pass. Do not pressure someone in non-passing areas in order to encourage them to let you by. Keep a reasonable distance between you and the car you want to pass, until you enter the passing zone. You should be close enough to let them know you want by, without being intimidating. For the last few turns you have been following a car. As you enter the passing straight, move up closer to the car you wish to pass, and off to the side you would like to use to pass. This should put you squarely in their side mirror. Look for a point by from the driver. Pass on the side they point to, if at all possible. If you don’t get a point by, look for some recognition that they are aware of your presence, eye to eye contact in their mirror as an example. If you get neither, a pass can still be made, but is at your risk, the driver may not know you are there. Always be aware of cars that may be behind you, before you pull out for the pass. If you pull out to make the pass, but the car you are passing has equal or greater acceleration, remember you must complete the pass as described earlier. If you are not sure you can complete the pass properly, remember, “if in doubt, back out”. Because you receive a point by does not mean you are obligated to pass, it is simply a courtesy from the other driver. Group 1 & 2 sessions are not intended to teach passing skills. These sessions are intended to teach the basic skills involving driving the line and some beginning car control techniques. Passing skills begin in group 3 and are really developed in group 4. Passing in group 1 & 2 is necessary because of the differences in the capabilities of the cars and drivers. Passing etiquette in group 1 & 2 includes letting faster cars go by easily. If you drive a powerful car, it is quite easy to keep less powerful cars behind you, since they are only allowed to pass in the straights. If you blast away down the straight, but that little rice rocket is all over you again 2 turns later, let them go in the next passing zone. You might learn something by observing why the guy is so much faster than you through the corners. You will also be much less likely to receive a black flag, followed by a lecture from an official. If you do get held up by someone who won’t let you by, or if you are ready to go a little quicker, but there is a big knot of traffic in front of you, you can pull onto pit road, and wait for an open space on the track. The official feeding traffic onto the track will signal you when there is a big gap. You can also use pit road this way if you notice several cars stacking up behind you.. The blue flag (with yellow diagonal stripe) is the passing flag. It is given to let a slower car know a faster car is catching them. If you are given this flag, you should already be aware that a faster car is approaching. You should let the car (or cars!) by in the next passing zone. Although passing is not taught in group 1 and 2, the basic skills necessary to allow safe passing begin here. First is the awareness of other cars on the track. Second is conditioning your reactions to allow or make a pass safely, by not doing anything erratic, and by being predictable. Although it is the overtaking drivers responsibility to make a safe pass, the driver being passed must be aware of cars around them, leave a clear passing lane, and not force the pass to be made late in the passing zone. NASA’s High Performance Driving Events (HPDE) are a very safe way to learn how to handle your car and drive the line on the race track. These events are not designed to teach you how to race, there are other schools that will teach this. All you need to run a HPDE event is your car (in good condition) and a helmet. In a convertible, you will also need to have a roll bar. This roll bar must be strong enough to withstand the forces of compression involved in supporting the full weight of the car. A factory roll bar such as those found on a Honda S2000 may fulfill this requirement, but “style bars” or “show bars” found on some other cars would not work. (If you have a question about your car, call the NASA office.) Road racing with NASA requires a full cage (defined as 6 or more mounting points). Roll bars and roll cages are not for everyone. Safety is a personal decision that only you can make. I tend to err on the side of safety. If something goes wrong on the track, I want to walk away from it. On the other hand, I don’t want to tear up the inside of my nice street car. So, safety has to be a compromise. Either I put the proper safety equipment in my car, or I don’t push hard on the race track. If I keep things under control on the track, I can minimize my safety concerns. The most frequently asked questions regarding roll bars and cages have to do with the different types of materials used in their fabrication. Generally, there are three different materials used: ERW, DOM and Chrome-moly. ERW stands for Electric Resistance Welded and this is a mild steel that is made from a flat sheet, rolled up into a tube and welded. DOM stands for Drawn Over Mandrel. This tubing is actually ERW tubing that has gone through an extra step to even out the imperfections and make it stronger. Chrome-moly is an alloy of steel which incorporates both Chromium and Molybdenum in the process and is stronger still. NASA’s rule book is very clear about what tubing is required for different weight cars and different classes. The rule book will tell you what is allowed and narrow down the choices. Now that you have signed up for the HPDE, you need to get your car ready. The first thing you should do is read the School Technical Inspection Information. While on line, you should also get a copy of the School Technical Inspection Form. The ‘information’ page will tell you where & how to get your car inspected. The ‘inspection’ form will tell you the minimum number of things you need to check before getting your car inspected at one of the approved tech locations. The wheels should be round without any dents or damage to the mounting surface. The tires should be in good condition. The tread should be above the wear bars. No cords or belts should show. Flat tires repaired with plugs should not be used as these could fail under the high stress of track conditions. Hubcaps or beauty rings should be removed. They can come off causing a dangerous situation for you & other students. Seatbelts must be in good condition. Factory seatbelts are OK. Cars without fixed roofs are required to have roll bars. Natural fibers are recommended for clothing. Minimum allowable clothing is jeans, a T-shirt & closed toe shoes. You will be required to wear a helmet when on the track. The minimum rating is SNELL 2010 (SA2010 or M2010). Newer helmets with a SA rating are recommended. Eye protection is required (face shield, goggles, safety glasses). The more and better the safety equipment you have & use, the safer you will be. Now that you made it to the track there are still a few things to do. You will want to take out everything you can. Remove your spare tire & jack. Take out all the floor mats. Any more loose stuff in there? Take it out. Next apply some wax to a portion of your door or quarter panel. When it dries to a haze, leave it there. Take some racer’s tape (colored duct tape) & put your “numbers” on top of the waxed portion. Now wipe off the rest of the haze. When the end of the day comes, you will be able to remove your numbers without doing damage or leaving a residue on your paint. Clean your front & back windows with glass cleaner. There will be less glare & you will be able to see your reference points easier. Fasten any unused seatbelts. You don’t want the buckles flying around. Apply some white shoe polish from the most outward tread block to around the shoulder of your tires. By checking the shoe polish after a run, you can tell if your tires are rolling over onto the sidewall. Most people need to increase the tire pressure from what they normally use on the street. How much will depend on your tires. When you come off the track after a run, use a block of wood to keep our car from rolling. Don’t use the parking brake. That will trap the heat that could cause your rotors to warp. Keep the engine running for a couple of minutes with the hood up. This will allow your engine to cool down & help circulate the hot fluids. Here are a few things to bring that will help make your HPDE more enjoyable. The list can be changed to suit your region & climate/season. After much prodding from my friends I finally committed to going to my first HPDE at Thunderhill. Not only was this my first HPDE, it was my first time ever on a road course. I’ve been to a couple autocrosses but that’s it. Other than that, I’ve had no real racing experience. So, this being my first time, I was really nervous. For myself, I, again, used the ‘net to find out how to prepare myself for the track. At the top of the list was: “Have lots of fun!” But stay within your means. Don’t go overboard on your first time out. I had the urge to go fast but since I didn’t know the track I didn’t want to wreck my car! Plus I’d end up in the wrong lines to take the correct apex. (Bad thing!) Just take your time and go at your own pace. Remember that you are still learning so you have to take it one step at a time. Speed will come later when you learn how to drive. Believe me, there are so many things to be aware of on the track that speed will take a backseat! Don’t forget to get a good nights rest the night before. I made the mistake of getting only three and a half hours of sleep the night before and I missed one session because I fell asleep waiting for the next run. Oops! Better to fall asleep in the pits then in your car! However, the best thing you can do to learn how to drive is through the Mentor Program, which is free through the NASA website. A friend recommended it to me. Through this program, you will get personalized help before, during and after the event. I was lucky enough to get two people to help me, Dev and Barry! Barry is my mentor and Dev was my instructor for the day since Barry couldn’t make it. Before the event, I e-mailed Dev and Barry back and forth asking them numerous questions, like how to prepare and so on. Their help proved to be invaluable. It was because of them I felt I was thoroughly prepared for what to expect. Once at the track, be prepared for sensory overload. Throw out everything you think you know from driving on the streets and open up your brain to learn how to race for real. Since I was new I was in Group 1, so an instructor is required or if you have a Mentor, you will meet up with him/her. Before my run group I got to ride with Dev in his Pro 7 RX7 racecar. To be honest with you, I was getting motion sickness from, I’m assuming, all the g-forces going around the track. But it gave me a change to see the layout of the course before going out myself, which was also invaluable to learning the track. It also gave me a chance to see what a real racecar can do. Lots of fun, even after getting sick! While on the track you need to be aware of so many things all at once. I found this hard to do! You need to be aware of all the cars around you, what lines to take, the apex, flag stations, color of the flags, shifting, steering, braking, throttle, etc., just to name a few! Looking far ahead is also very important! That way you can see where you need to set yourself up to hit the right racing line and apex. Or, if you need to avoid an accident ahead of you or watch for flags. But don’t be intimidated by this. Remember that everyone on the track has gone through the same thing you and I are. It’s a learned skill and you will get better as the day goes on. I’ll be the first one to tell you that I still don’t have that down. But as Dev and Barry told me, that stuff will become second nature with more track time. After each run it is also good to go over with your instructor how you think the run was. From there, your instructor can critique your driving and tell you where you need to improve. This is very helpful since the instructors know the track inside and out. If you really want to get better, you’ll listen to them. At days end, you will have bettered yourself as a driver both on the course and on the streets. A lot of what you learned can be taken back to everyday driving, like looking at what’s ahead and being aware of your surroundings! You will also have an idea of just what your car can do when pushed to the limits. In other words, you will learn just what your car was made of and where you may need to improve the car to handle the track and street better. Although I can’t go all the time, I am definitely going to go again! It was just so much fun! Autocrossing was fun too but there is nothing like driving on a real road course and learning about you as a driver! Consider me addicted!